"The dreary lot of the Marx family in London was not only poverty and illness, but death as well. The family had grown just before their move. Apart from the older daughters, Jennychen and Laura, there was also a little boy, Edgar (named after his uncle), who had been born in Brussels. He had been part of the revolutions in both Paris and Cologne in his young life, and now he was a child refugee in the poorer districts of London. In the midst of all the sorrow he was a constant source of joy, a little humourist and a rogue. In her gloomy begging letter to Engels in the spring of 1853, Jenny wrote how her six-year-old son fooled the baker who had come to call in his debts with Karl. 'ls Mr Marx at home?' the baker asked, and the boy quickly answered in the local dialect: 'No, he ain't upstairs.' The baker left, cross, and Edgar quickly scampered up to his beloved Moor (as every­one in the family, and some even outside it, called Karl) and told of his successful efforts. "The little boy was given the nickname Föxchen ('the little fox' in Germanized English) and his father also called him der Pulververschwörer ('the Gunpowder Plotter'). But the boy was not healthy; he seemed to constantly be hovering between life and death. Above all, he suffered from intense convulsions. He died a little over a year old. "Marx was beside himself with despair. The only one he could turn to was [his friend Friedrich] Engels, who was now in Manchester. 'Just a line or two to let you know that our little gunpowder plotter, Föxchen, died at ten o'clock this morning', he wrote in a letter. 'Suddenly, from one of the convulsions he had often had. A few minutes before, he was still laughing and joking. The thing happened quite unexpectedly. You can imagine what it is like here. Your absence at this particular moment makes us feel very lonely.' He asked Engels to write a few words of comfort to Jenny. His friend did so, and Marx was very grateful. Jenny received the little comfort she could in this terrible situation. She had nursed the child at the risk of her own life. Marx exclaimed: 'And on top of this, the thought that the poor child was a victim of bourgeois misère ... 'Marx was convinced that Heinrich Guido would have survived if his parents had had enough money for a doctor's care and medicine. "At the time of her little boy's death, Jenny was pregnant again. 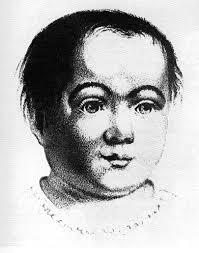 "On 6 April 1855, the boy died in his father's arms. It was an even harsher blow than the deaths of both the other children. An eight-year-old is already a fully fledged personality, and Edgar -- nicknamed Musch, 'the fly', or even Colonel Musch -- was, accord­ing to all testimony, an incredibly charming boy: affectionate, happy, and moreover brilliantly gifted. The mourning for him became difficult to endure for the surviving members of his family -- his sisters and parents. Jenny and Karl, who knew that life in nineteenth-century Europe was easier for men than for women, had placed great hopes in little Musch -- and now he was dead. "Jenny wrote in her memoirs that the day of Musch's death was the most painful one of her life. 'He was the love of my life, as he was for almost everyone who gazed into his beautiful, sunny face.' He was also 'my dear Karl's complete pride, joy, and hope'. The boy had loved his father to the same extent, she continued, and during his illness constantly wanted 'Charley' by his side. The latter hardly left the boy during the weeks his suffering lasted. Jenny herself could not endure the sorrow; it was entirely too difficult for her to bear. "Wilhelm Liebknecht bore witness to Karl's sorrow at the funeral. "Lessner, Pfander, Lochner, Conrad Schramm, the red Wolff and I rode together -- in the same wagon as Marx -- he sat there silently, with his head in his hands. I stroked his forehead: Moor, you have your wife, your girls, and us -- and we all think so much of you! 'You can't give me my boy back,' he moaned, and we rode silently on to the graveyard in Tottenham Court Road. "Liebknecht also said that when the casket was lowered into the ground, Marx was so forlorn that his friends were afraid he would rush down into the depths after it. "But at the time of Musch's death, Jenny was already at the beginning of a new pregnancy, and in January 1855 she gave birth to a girl. This was little Eleanor. Like her brother, she was uniquely gifted -- the most brilliant of the surviving children. But she did not have Musch's bright temperament. Her life was lined with troubles and sorrows, not all of which can be put down to external circumstances. "But she was healthy, and she became the family's little darling. "She developed into a tomboy, says Jacques Attali, and her own father shared that opinion. 'My father used to say that I was more like a boy than a girl,' she wrote in a letter. Her father went even further. 'Tussy is me,' he could say. He concentrated his hopes in her. It is not strange that he was particular about her education, especially literary -- fiction from Aeschylus to Balzac were and remained one of his favourite fields, which he also initiated her into. "Jenny gave birth to another daughter, but the child died almost immediately after birth. The circumstances around the event were so terrible that Marx did not wish to go into the details in a letter to Engels; they were not suitable for writing down. "Jenny and Karl had now lost four children. Their losses would mark the remainder of their lives. The joyfulness they were able to express throughout their lives would always have a dark background of sorrow and loss."